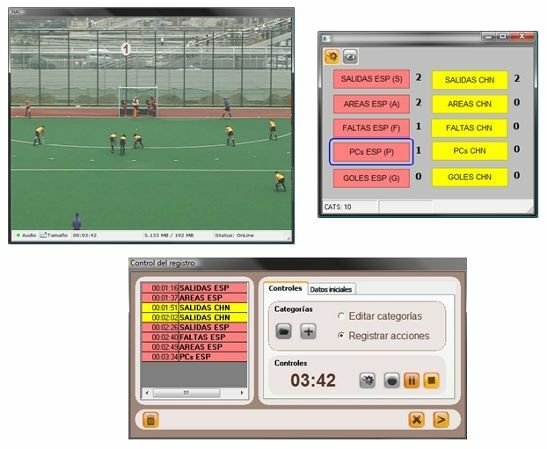 NAC Sport Basic is a professional and reliable application designed to facilitate the observation, recording and analysis of sports videos; both individual and collective sports. Nacsport is a tool that requires no expertise and only takes a few minutes to learn how to use it. Using a video from your hard drive or even capturing a live sporting event, you can record and organize the actions that you consider important in order to demonstrate the strengths and weaknesses of both your team and your rival. These actions can be classified into lists and are easily accessible at any time for review, analysis and presentation, so your ideas can be transmitted in a direct and effective manner with a minimal investment of time.Since 2003, Nacsport is the option preferred by thousands of customers worldwide, from national teams, professional clubs, associations, universities, schools to amateur coaches. The extensive experience with the use of Nacsport has been demonstrated in Olympics, world championships and European championships in different sports.